3. 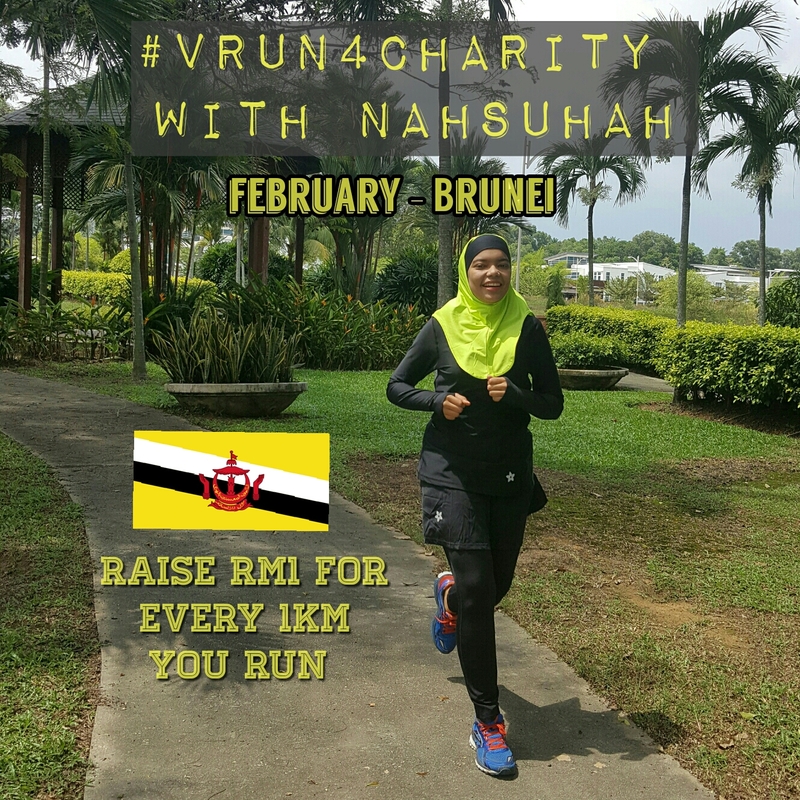 Raise RM1 for every 1KM you run with Nahsuhah for the month of February. Nahsuhah is committed to raise at least RM100/month. Your mileage is an add on. The money you raise with Nahsuhah for the month of February will be channeled to a charity of your choice in your country by Nashata. 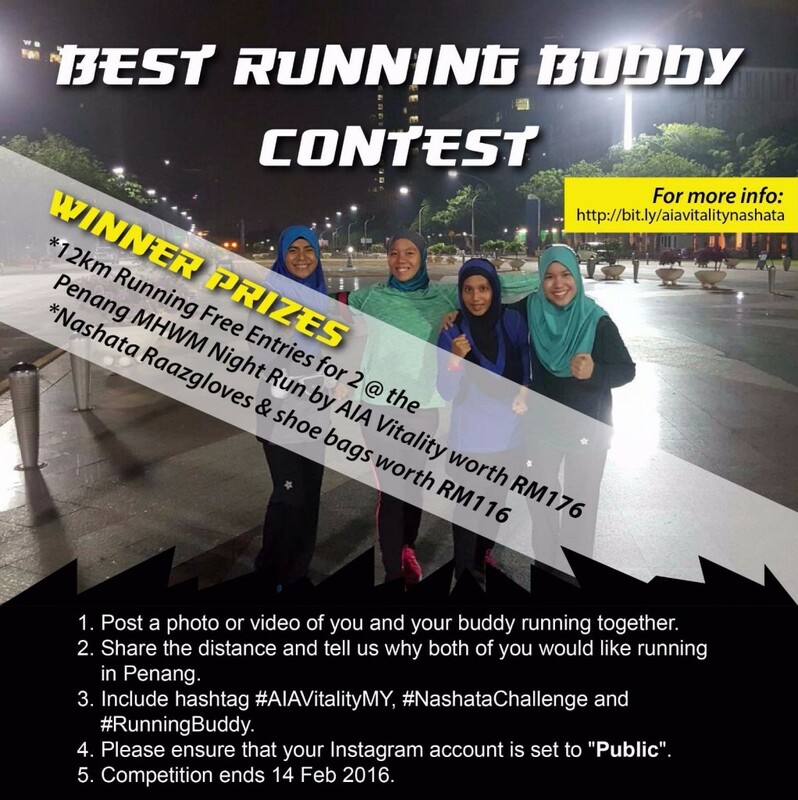 If interested, comment this post, whatsapp +6012-3112489, email contactus@nashata.com or share this with your running sisters. We will contact you for further discussion. Thanks for supporting #vrun4charity ! A running buddy helps you push yourself, reach your goals and keeps you company. So take this opportunity to win 2 tickets to run with your best buddy at the Men’s Health Women’s Health Night Run by AIA Vitality at Penang on 2nd April (Saturday). 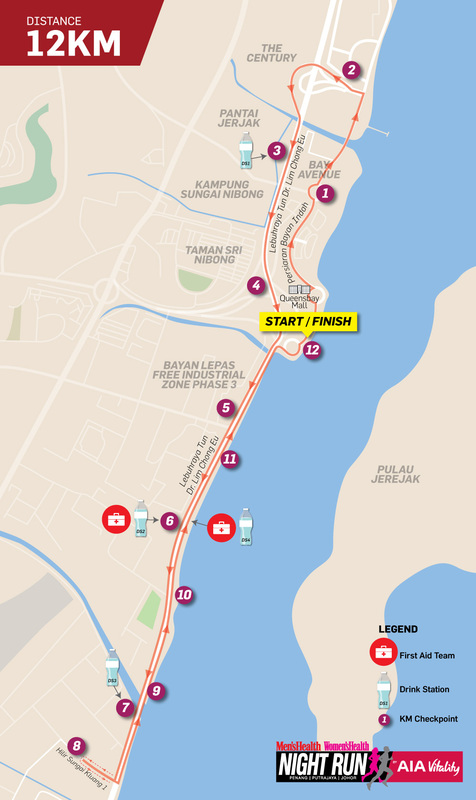 It is the first Men’s Health Women’s Health Night Run by AIA Vitality in the Pearl of the Orient, Penang and it offers you sea-breeze run by the shores of southern Penang. Check out this awesome route! The contest ends 14 Feb 2016. Winners will be selected based on creativity of photo, video, caption, likers and shares. Winners will be announced on Nashata’s Instagram & Facebook account! Now, bring out the best in you and start running with your buddies. Don’t forget to take awesome pictures or videos!